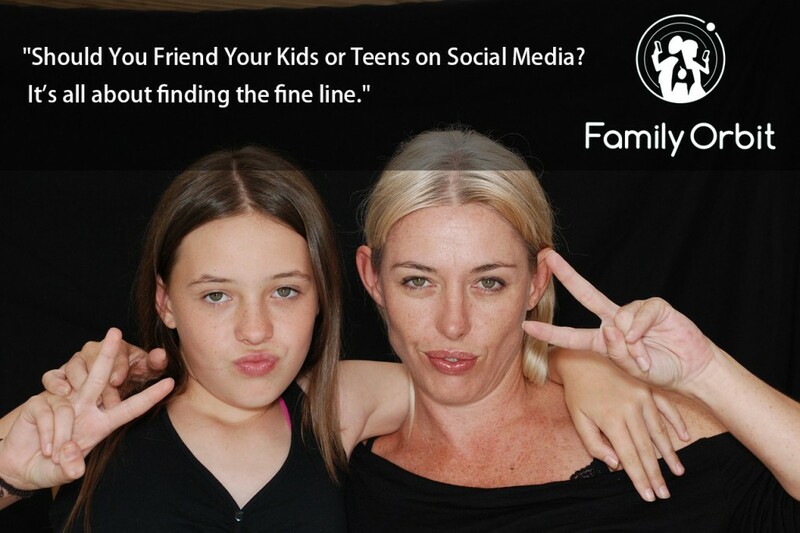 With all the dangers of social media, it’s common to want to keep your children safe. Many parents opt for friending their kids and teens on Facebook, or following them on Twitter. While it can help with social media safety, there are concerns from the children. Is it really the best thing to do? Here are some considerations to make. Kids and teens want the freedom to talk to their friends and mention things going on at home. If you’re friends with them, they may worry that they can’t be free to speak out online. They worry that you’ll bring up topics they’ve mentioned when they’re offline, and not behind the safety of their keyboard and monitor. It could lead to them not sharing some of the most important things going on. It could affect their health or safety, because they worry about what you’ll say. They may be less likely to share something negative happening in their life, in fear of what you’ll say. You can prevent this through a talk about friending on social media, allowing you to protect family safety while online. Explain why you want to friend your kids or teens, and make a promise that you’ll only talk about something that really concerns you. Friending someone on social media isn’t just as easy as clicking a button. The other person on Facebook has to accept that friend request. It’s a little easier on the likes of Twitter and Google+, for example, but there is still an element of the other person being aware. Your children can reject requests from you to be friends. At the same time, they can block you from seeing certain updates, photos or comments. You won’t necessarily know everything that is going on. If you’re doing this for social media safety, you need to explain that to your children. They need to understand that you’re not there to criticize, but to help. There is also the importance of boundaries for you and your children. You can set up your expectations, while kids and teens can have requests of their own to protect their privacy. You need to know your reasons for friending on social media. While family safety is a priority, it can’t be the only reason. If you’re just there to snoop, you’re doing it for the wrong reasons. Your children still deserve some privacy, and will want that. That being said, you want to make sure they’re protected in an environment that can lead to cyber bullying, sextortion and other dangers. There is an element of trust that you and your kids or teens will need to build with each other. One option is to friend but refrain from checking constantly. Don’t comment on every single update and don’t bring everything up at the dinner table. Do use is as a way to find out more about your kids or teens, like their interests and their friends. Of course, your children will have the private messaging for full privacy from their parents. Some parents opt to be friends because their children live so far away. This isn’t necessarily going to mean snooping, but keeping up to date with things going on. It can help encourage family safety, because you know where your children are and what they’re doing. It also allows you to keep in touch with other family members and friends through your children. This is a debate for many parents. Friending children on social media can certainly help keep them safe, but isn’t always recommended. It really depends on the reasons for friending them. While social media safety is important, snooping can be an invasion of privacy and lead to other issues within the family. It’s all about finding the fine line.